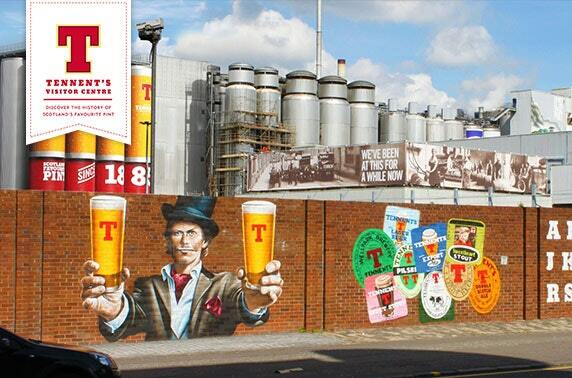 Tennent’s Lager, owned by C&C group, will open a revamped £1million visitor centre in Glasgow at the end of November, with the ambition of becoming the UK’s biggest beer attraction by 2023. ‘The Tennent’s Story’ experience will be based at Wellpark Brewery, Scotland’s oldest brewery, and will expand upon the current visitor experience, taking visitors behind the scenes of the beer brand, first poured in 1885, as well as the origins of brewing at the site, which dates back to the 1500s. The visitor centre will be home to artefacts gathered from the first days of brewing at Wellpark in 1556 through to today. The tour ends at the revamped tasting experience which is home to the country’s latest Tennent’s Tank Lager installation – serving up pints of Tennent’s from copper tanks filled with unpasteurised liquid straight from brewery floor. It is the single investment the company has made in the brewery’s visitor experience, which now boasts an three-floor development at the Duke Street site. The major development aims to become the UK’s biggest beer attraction, boosting local and international visitor numbers to Glasgow’s east end. The visitor centre officially opens on November 22.